This jacket isn't your typical wind breaker, our soft shell poly tech jackets feature a weather proof polyester exterior with a micro fleece lining to keep your body dry and warm against the elements. 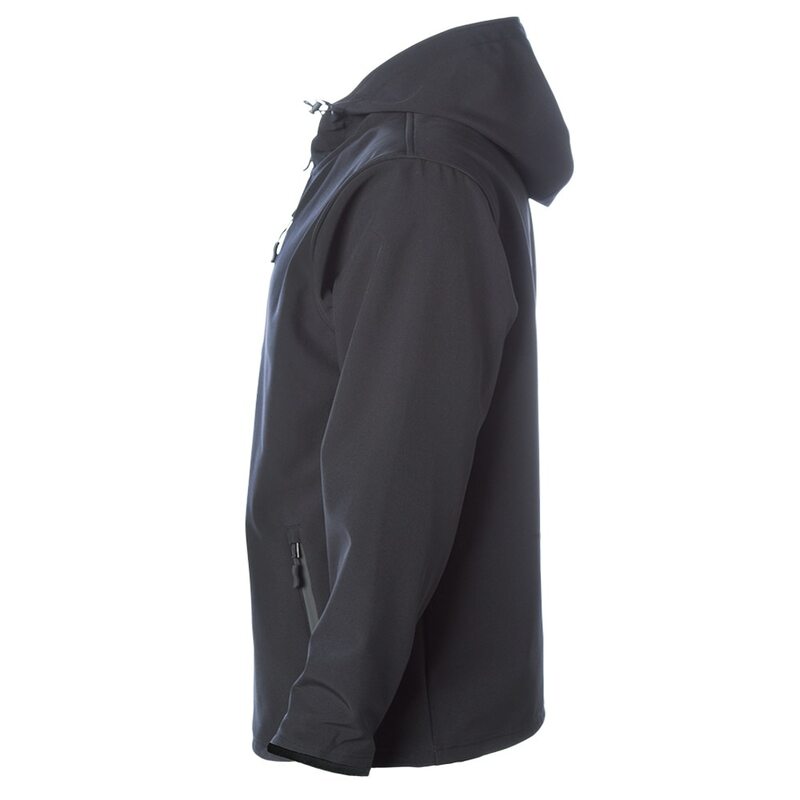 This jacket also features a scuba hood for good coverage, water resistant zippers with interior flap to keep the wind out, welt pockets, drawcords with toggles at hood and waist. The Polyester exterior fabric has a 100% water proof Coating keeping water from getting in. This jacket comes in at only $84.95 and is perfect to layer with a flannel on your next motorcycle ride.